Some agents may tell you their pricing requires a 3 year term, but that is simply NOT TRUE. I can place merchants with 3 different processors I work with and they leave it to me, the agent, to decide if I want to lock-up the small business owner in a contract for 3 years. I don't feel the need to lock up a small business owner in a multi-year contract. Some start-ups and business owners lacking the knowledge about these types of agreements may be lulled into feeling these 3 year contracts are the norm, and believe h agent, when in fact lock-up periods are NO LONGER AN INDUSTRY STANDARD. Small merchants also think if they are getting the processing through their local bank, a community bank or even one of the big banks, they are getting the best deal they can. The truth is that most of those banks are simply using their name to charge higher processing rates and lock up the merchant for 3 years. They think their customers won’t check pricing. On top of that, I have seen some three year processing contracts that automatically renew for 1 year periods, and once I saw a horrific 2 year renewal period, if the merchant did not cancel within a 60 day window before the end of the automatic renewal period. This is probably the most important of my five small business tips for credit card processing don't get locked-up. 2. Don’t agree to an early termination fee. Another one of my pet peeves is when I talk to a small business owner and they tell me they cannot cancel their existing agreement and switch to my lower pricing and better service, since they have a $500 EARLY TERMINATION FEE. Again, I am surprised that merchant processing sales agents and banks are still getting away with this and business owners don’t understand they can JUST SAY NO. In some cases where I am saving the SMB (small and medium business) over $100 per month, I tell them not to cancel their agreement, but instead to just switch over to me and pay the $20 or so for their monthly miscellaneous fixed fees so they still end up saving $75 per month and they get better credit card processing. Once they leave a processor that had a 3 year lock up and $500 early termination fee, they feel they were taken advantage of and never go back. As you can see, my five small business tips for credit card processing will save you money. 3. Don’t lease your credit card terminal. There are a few processors and banks that are requiring merchants to lease their credit card terminals under the guise that the terminals are either too expensive and cheaper to lease or it is part of a bundle and that is why they can give the merchant a better rate on credit card processing. Again this is NOT TRUE. The merchant sales agent in this scenario is making more on the lease payments than the credit card processing so there is a big incentive for the agent to lease equipment and lockup the unsuspecting merchant for 3 or 4 years. This is one of the most important of my five small business tips for credit card processing. Example: A typical credit card terminal costs about $300 and the agent will lease it to the merchant at $39.00 for 3 years. That is a total of $1,404, so the agent can make about $1,000 on that sale. I let my merchants have a terminal to use FOR FREE and in most situations I can meet or beat the current credit card processing rates they are paying through that agent that locked them into a 3 or 4 year terminal lease deal. I can’t tell you how happy those merchants were when they made that final lease payment, canceled and moved their credit card processing over to me. Again, this is another way of saving money and not getting locked into a multi-year agreement by following the third of my five small business tips for credit card processing. 4. Don’t use a POS system that does not integrate with a chip card reader. There are dozens of POS (point of sale) systems on the market and some of them still require the merchant to swipe the credit card on the side of the POS Monitor. Merchants need to wake up and understand that Visa, MasterCard, American Express and Discover banded together and established October 1, 2015 as the deadline when credit card fraud liability shifted to merchants if they did not have payment system in place to accept and process the new chip cards. Credit card processing companies are even charging between $20.00 and $75.00 for non-EMV compliance. It is win-win for them and a loose-loose for the merchant because the processor has now passed the risk of loss to the merchant and is charging the merchant a fee for not upgrading. DOUBLE OUCH!!! I advise merchants all the time on the right POS choice for their business since I am not tied down to one POS company. I have vetted many POS companies over the years and advise business owners on the pros and cons of several systems so they can make an informed decision on which POS system better fits their particular needs. 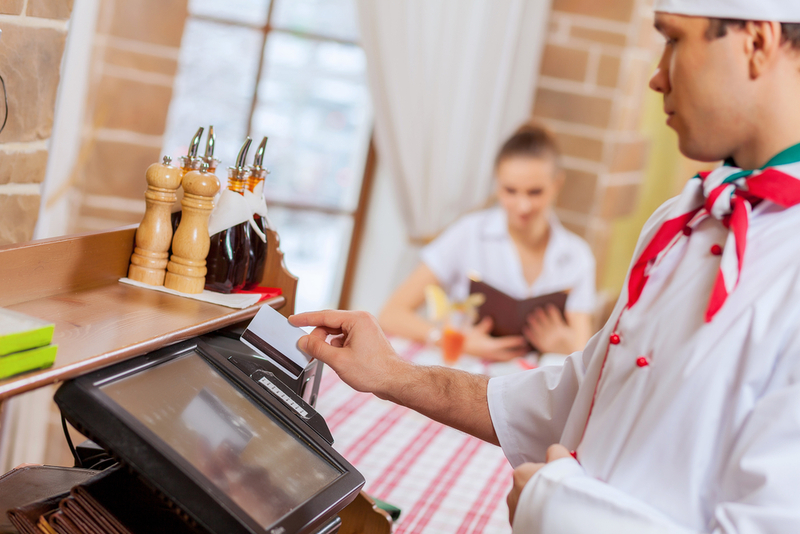 Some of these features include inventory management, online ordering and reservations, takeout ordering, employee management, automated tip adjust, social media integration and gift cards. 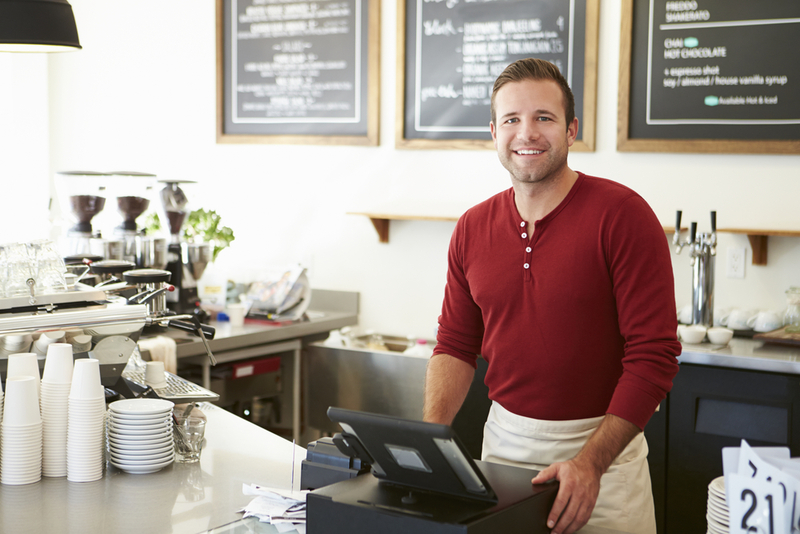 Following my five small business tips for credit card processing can help you run your business more smoothly. Keep in mind not all businesses are suited for a POS system so don't let a pushy sales agent talk you into an expensive long term commitment. Micros (which was bought out by Oracle) still has the largest share of the POS market and did not come up with an integrated EMV solution, leaving merchants to fend for themselves. Initially, the only choice these merchants had was to use a standalone terminal that did not integrate with their expensive Micros POS system. Eventually an integrated solution was introduced by a third party provider. That solution turned out to be fairly expensive and although it does provide a “pay at the table solution” as well, it was not without its bumps in the road since it still required printing out the itemized tab separately, customers had to sign and add their tip amount with a pen and finally wait staff still had to go back to the POS stations and manually add their tip amounts. I recently signed as a reseller of a simple solution that is more cost effective and integrates with Micros. It is a true pay at the table solution using an 8 inch tablet that shows the itemized bill and tax. It allows the customer to use the touch screen to leave their tip and sign. This POS integrated solution also integrates with several other POS systems like Dinerware, Positouch, InfoGenesis and Aloha. 5. Ask to see your processing rates in writing before you sign. This may seem simple enough, but make your sales agent go through the pricing sheet and specifically point out what you are paying for an authorization fee for each sale and how may basis points. Be wary if there is also a “transaction fee” because you would then have to add the authorization fee and transaction fee together to see how many cents you are paying on each sale. Some sales agents try to hide the fact that there are those two fees. I have never found the need to charge my merchant clients a transaction fee. I charge a $0.00 transaction fee. Also, make the agent show you where on the pricing sheet the monthly amounts you are paying for a statement fee, PCI compliance fee, debit enablement fee (if you will be taking debit payments) and next day funding fee (an optional fee). You want to know what your fixed monthly fees are in clear concise manner. If you are a business owner, following these simple five small business tips for credit card processing will give you a straightforward way of handling your current and future merchant processing needs. I hope these five small business tips for credit card processing have shed some light on a murky subject and will better prepare you when it comes to reviewing your credit card processing. I am always available for free consultations and analysis. I enjoy leveling the playing field for small business owners when it comes to electronic payment solutions. 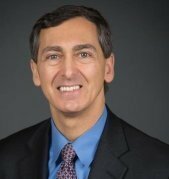 Joseph B. LaRocco is the East Coast Regional Director for LaRocca Integrated Solutions, Inc. that offers its services to all size businesses in every industry. Joseph B. LaRocco advises businesses on credit card processing solutions for their business, reducing merchant processing costs, choosing the right POS system and online credit card processing solutions. His five small business tips for credit card processing have helped numerous businesses in the often confusing and every changing world of electronic payments. LaRocca Integrated Solutions, Inc. is Powered by NXGEN Payment Services, a Registered MSP/ISO of Elavon, Inc. Georgia.